One man's epic battle against the wildlife police and the state's grip on native turtles. Armies of painted turtles are coming out of hibernation with the end of winter, bobbing to the surface of the countless lakes and ponds that dot the Inland Northwest. For Bill Bernstein, 40, this might have been the time to pursue a pastime he’s enjoyed since his childhood: collecting snakes and turtles from their aquatic sanctuaries. Or, it could have been the time to reignite his side business of selling those turtles. But for now, it’s neither. He’s just awaiting trial. “If it’s a crime, it’s funny, but it’s not funny,” he says of a state law that prevents him from possessing Washington’s native painted turtle. (The law protects the turtles because they’re native to the region, like marmots, not because they’re endangered.) 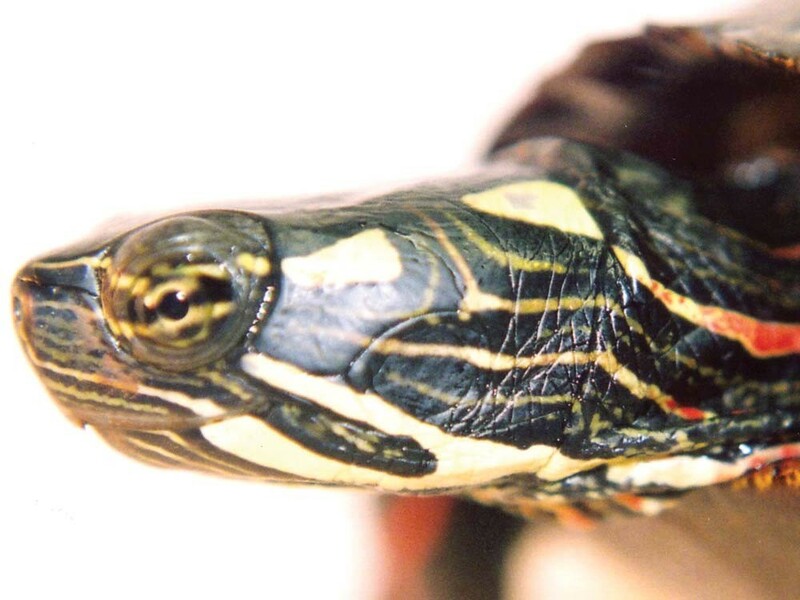 Last Friday, he was arraigned on a $271 citation he received last month after the state’s wildlife veterinarian saw him with two painted turtles at a Boy Scout show-and-tell day. Bernstein says he didn’t know he was doing anything wrong. And he refuses to pay the fine. Fish and Wildlife Officer Lenny Hahn issues a lot of warnings during his rounds in Eastern Washington’s wild lands. But with Bernstein, Hahn had a different story on his hands. Last August, Hahn was alerted by the Cheney Police Department of a near-scuffle at Fish Lake that involved two men comparing pistols, Hahn says. One man was drunk. The other was selling turtles — the reason Hahn was notified. “On August 30th, 2010 at 1200 hours I seized a painted turtle from Bernstein at his residence,” Hahn writes in an incident report. “Bernstein said he didn’t realize they were protected.” Bernstein had been selling them. Alison Beernink, who works at Northwest Seed and Pet in east Spokane, says people come in all the time trying to sell painted turtles. Hahn left Bernstein’s house that August without issuing a fine. Instead, he gave Bernstein a verbal warning, as well as a copy of the law. Early last month, Bernstein was at his 7-year-old nephew’s Boy Scout meeting with two turtles. It turns out, so was Kristin Mansfield, the state’s wildlife veterinarian and the mother of a Boy Scout. At the meeting, Bernstein’s nephew told her son there were nine turtles at Bernstein’s house. “It was apparent that he had just got rid of them and that was why he was outside when we arrived and was so willing to let us in his house,” Hahn writes. This time, Hahn was there to issue a fine. But, according to the report, Bernstein played dumb. The way Bernstein tells it, he was not comparing guns at Fish Lake but was wary of the drunk man with a pistol who wanted to get some turtles for his handgun. And there were not two painted turtles at the Boy Scout meeting, he says, just one red-eared slider. “Myrtle the turtle,” he calls the (alleged) slider. And now the state’s trying to squeeze him for almost $300 because the state veterinarian misidentified his reptile. Shortly after the Boy Scout meeting, Bernstein gets a knock on his door. “It’s Lenny again,” Bernstein says. “I’m here for the turtle,” he says Hahn told him. “We don’t have the turtle. You can look around my house. “I’m going to cite you. I warned you once before.” “Are you going to arrest me?” “No, I’m not going to arrest you. I’m just going to fine you. Bernstein will fight the issue in court in a few weeks, and if it goes the way he wants it to, the ability of Kristin Mansfield (the state wildlife veterinarian) to identify different turtles will be questioned. “Wildlife vets have an uncanny ability to identify different species at a distance that is startlingly accurate,” he says. * A previous version of this story falsely indicated that Mansfield attended Washington State University.